The next bus trip is to Bargo Dingo Sanctuary - tickets will be on sale at the meeting for only $18. These trips fill up fast so get in early. 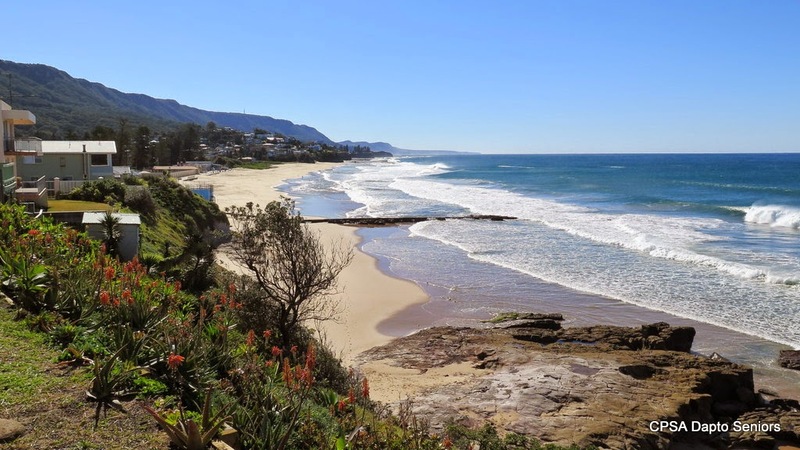 The last walk to Thirroul was not well supported, in fact only three members turned up. 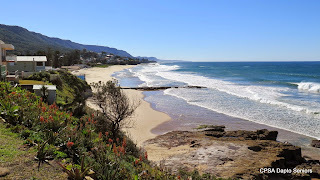 It was a cool day that is for sure but the sun was shining and the walk round the township and along the beach was very rewarding. The group saw the house, Wyewurk, where D H Lawrence stayed when he wrote his novel 'Kangaroo' an interesting part of local history. Watch out for details of further walks in the future. Tickets are still available for the $15 birthday lunch to be held on the 24th July at Dapto Leagues Club. There will be all the usual features; massive raffle, good food and good company. The club encourages all members to attend this important occasion in our annual calendar. There is still room on our spring holiday to the Snowy Mountains. Dates are 26th October to 31st October and the bus will pick us up at Heininger House. The holiday includes a Whale Watching cruise at Eden. How convenient is that? Do join us. All our previous holidays have been a great success and a lot of fun.